ICBA believes stability is key to growing the economy. 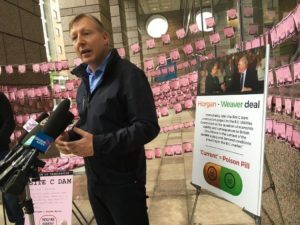 Minority governments erode that, and proportional representation would bring more elections, more minorities, and more backroom dealmaking into B.C. politics. Instead, he says he thinks the change is wrong on its merits and will lead to more elections and more political uncertainty. Proportional representation refers to one of several models of vote counting, in which the percentage of the vote a party receives more closely resembles the percentage of seats they get in the legislature. Gardner says the prospect of elections and uncertainty are no good for creating a climate for investment and jobs in the province.